World Boxing Council President Mauricio Sulaiman is going through numerous matters at his organization's 55th annual convention in Baku. 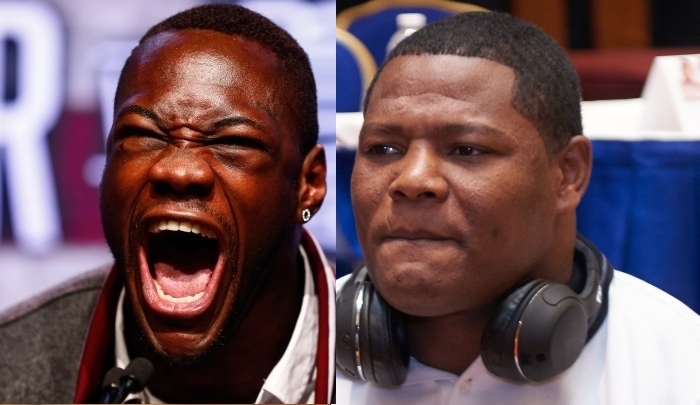 And biggest matter on Sulaiman's agenda is the doping scandal involving Cuban Luis 'King Kong' Ortiz, who has a fight scheduled against WBC heavyweight champion Deontay Wilder on November 4th at Barclays Center in Brooklyn. A few days ago, it was revealed that Ortiz tested positive for Chlorothiazide and Hydrochlorothiazide, substances that according to the Cuban are contained in a drug that he's taking for high blood pressure. The big problem is, Ortiz never told Voluntary Anti-Doping Agency that he was taking the prescribed medication. Because of the circumstances, the WBC opened an express investigation, as they do not want to affect Wilder by stalling out the process. Wilder has had three opponents fail drug tests in the last 16 months. "So far regarding (the fight), we have not ruled in any way. The issue is being reviewed.... including the fact that there is the positive result that (Ortiz) had in 2014 (for nandrolone). The fact that there is a process in which you must declare absolutely everything that you are taking at the moment of registering in the [drug testing] program and the moment people arrive to draw blood or urine... there you have the obligation to put writing what you are taking," Suliaman told ESPN Deportes. "We are in the process mentioned, we are waiting for [Ortiz] to answer the questionnaire that was sent and we will make the determination in a rapid manner because there is a fight scheduled in a few weeks. In this case, the Ortiz process has to be much faster because there is a scheduled fight (for November 4) and we have the responsibility to the fighters and the public." Sulaimán accepts that his organization's Clean Boxing Program has caused many headaches to the world of pugilism, but also says that there is no going back in this fight to make boxing a cleaner sport. "It has been a complicated process, every time the phone rings and I see that it is the doctor (Margaret) Goodman (from the Voluntary Anti-Doping Agency) I start to tremble. Last year we closed the convention with the announcement of doping by Alexander Povetkin and now we begin this convention with Ortiz," Sulaiman said. "Wilder has been the most harmed, three opponents for Wilder have been found with a positive [result] in the [drug testing] process." [QUOTE=WBC WBA IBF;18111437]Most humans have medical conditions. [/QUOTE] That they have to take performance enhancing medication for? Maybe you need to think again. [QUOTE=Kigali;18105678]Ortiz is Black..just like Tito:bottle: I know you hate that..but it's true. [/QUOTE]Nop they're dark skinned guys, but they hispanics. [QUOTE=D4thincarnation;18111010]Are we to believe all top sportsmen and sportswomen have medical conditions. [/QUOTE] Most humans have medical conditions.